Photo: Erin Krakow, Daniel Lissing. Credit: Copyright 2016 Crown Media United States, LLC. Photographer: Eike Schroter. Take heart, #Hearties. Below, watch stars Daniel Lissing and Erin Krakow announce Hallmark Channel has renewed its When Calls the Heart TV series for a fourth season. The cast of When Calls the Heart also includes Lori Loughlin and Jack Wagner. In the video, Lissing and Krakow made sure to thank fans on their behalf, too. The announcement came, not by press release, but in video published on the Hallmark Channel USA Facebook page. The season three finale episode, “Prayers from the Heart,” aired last night on Hallmark Channel. 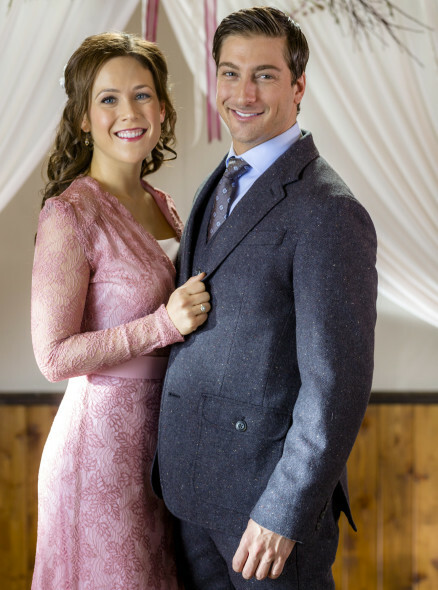 Watch Erin Krakow and Daniel Lissing break the good news that When Calls the Heart has been renewed through season four. What do you think? Are you a fan of the When Calls the Heart TV show? Do you plan to watch the fourth season? More about: When Calls the Heart, When Calls the Heart: canceled or renewed? Oh YES I’m delighted on “When Calls The Heart” is back for season 4 and 5 I hope and more …………. I love the program so much I never want it to end. I love Jack and Elizabeth. And many more characters too. I’ve watched the program from the very beginning. When Calls The Heart is the best show that has been on TV for a lot of years. Thanks to the producers, directors, cast and everyone else that is a part of the show. I will look forward to season 4 and many more seasons. I think it’s awesome that it’s renewed for season 4 but I hope they start planning for season 5 also because it’s one of the best shows out there thank you to cast and crew. Thank you so much for the renewal of Season 4, which i watched on Netflix. Never a dull moment, this seasons gets boring, I watched this seasons 1, 2, 3 4 many times. I buy the full season every year through Amazon. I can not get enough. I think it should be 2 hours long. I just got hooked through NetFlix to When Calls the Heart and I am thrilled it’s going on for a 4th season!I had wanted to watch it when it was on Hallmark but missed the first few episodes and just couldn’t catch up later but since Netflix offered all three seasons I’ve gotten “hooked” now and will be anxiously looking forward to being able to see the wonderful show continue on!Would love to hear a date! !